Need to stay over summer for class? You can apply even if you didn't live on campus this year! Want to take a look inside our halls? Click here to see! On Saturday, April 20 the Housing application opens for new and transfer students. Cancel your housing penalty-free before May 15, 2019. Fri. April 26 at the Bell Tower from 1:00pm - 3:00pm. Click for more info! Have a question? Need help? Get started here. Enter Temple's 360° Virtual Tour. Search off-campus housing listings. Create and view roommate profiles. Post and search for sublets. Compare your favorite listings side-by-side. Use the message boards for study abroad, buy/sell books, and more! Where will you live on campus next year? Housing application opens on Monday, December 10 2018. 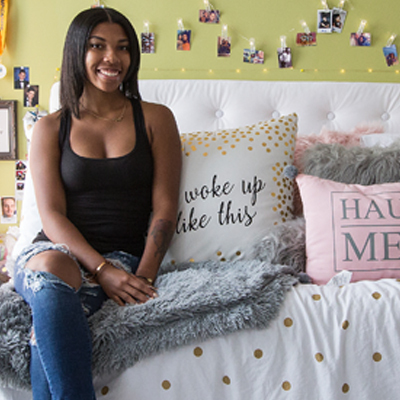 Housing is a first-come, first-served basis and is not guaranteed to any student. The earlier you pay the housing deposit, the better your chances are to secure the space you prefer.